on the CSIRO mosquito project blog. Compare the pair: red dye was used to mark mosquitoes. No, it’s not a joke. Pose this question to a member of our local Innisfail mosquito research project and they’ll give you a straight answer – On average less than 100 metres, and yes but most prefer not to. Yes, male mozzies [Australian for mosquito] do cross the road, or at least Mourilyan Road in East Innisfail where the project team has been studying the behaviour of the male Aedes aegypti mosquito; the female of the species transmits the dengue and Zika viruses. The CSIRO Innisfail mozzie team released over 3000 males mosquitos in East Innisfail, far north Queensland, where with residents support they had set over 70 traps – all to see how far the mozzies would go to find a mate. 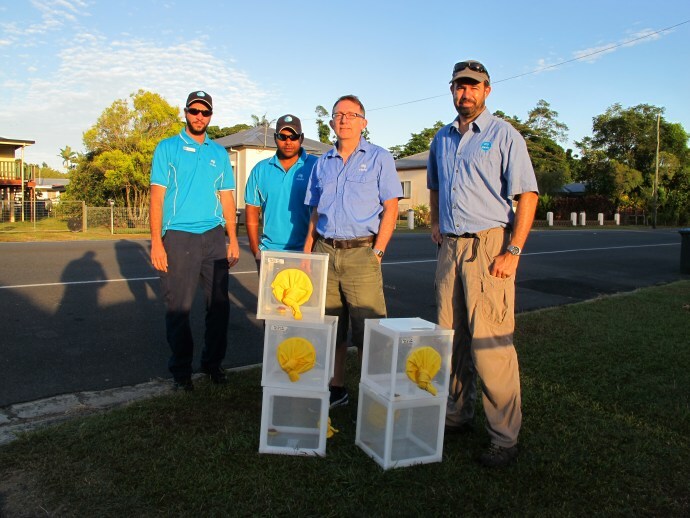 In the New Year the project team will expand their community engagement activities to share their plans with Innisfail residents, describing a small study to release sterile male mosquitoes in the first half of the year. If this is supported and successful, the project team will plan for a larger study towards the end of 2017. For more information about the project, see debugproject.com or the CSIRO project page. We thought we’d start 2017 by sharing some results of the Queensland fieldwork being conducted by our Australian partners, the Commonwealth Scientific and Industrial Research Organization (CSIRO) and James Cook University (JCU). 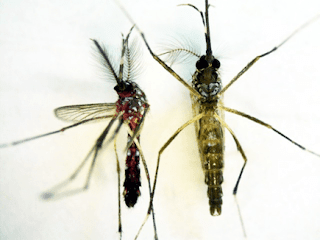 The original post "How far will a male mosquito travel to find a mate – and will he cross the road?" from December 22, 2016 is available here on the CSIRO mosquito project blog.